.... HAHAHAHAHA .... Who would've ever guessed what Popeye has been smoking in that pipe of his for over 80 years now ! Turns out that during the time when Popeye came into the scene, "spinach" was a code word used for the sacred herb, Cannabis. One classic example is "The Spinach Song," recorded in 1938 by the popular jazz band 'Julia Lee and Her Boyfriends' ... performed for years in clubs thick with cannabis smoke, along with other Julia Lee hits like "Sweet Marijuana," the popular song used spinach as an obvious metaphor for pot. In addition, anti-marijuana propaganda of the time claimed that marijuana use induced super strength. Overblown media reports proclaimed that pot smokers became extraordinarily strong, and even immune to bullets. 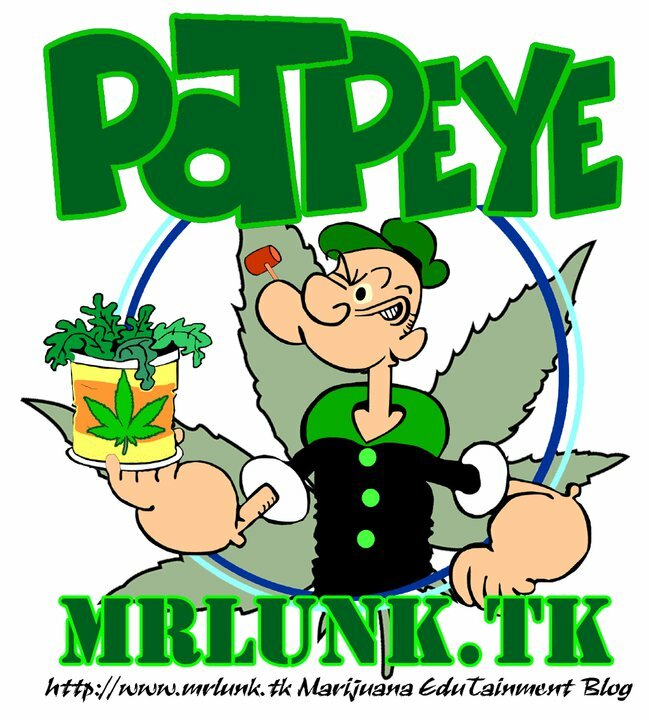 So tying in Popeye's mighty strength with his sucking back some spinach would have seemed like an obvious cannabis connection at the time. Further, as a "sailor-man," Popeye would be expected to be familiar with exotic herbs from distant locales. Indeed, sailors were among the first to introduce marijuana to American culture, bringing the herb back with them from their voyages overseas. 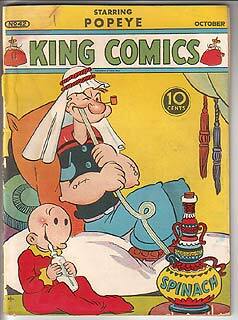 Segar did make other, more explicit drug references in his comic strip. One ongoing 1934 plotline had Vanripple's gold mine facing corrupt, thieving workers. Popeye discovers that the mine manager is feeding his men berries from a bush whose roots are soaked in a nasty drug. Consuming the drugged berries removes human conscience, making people more violent and willing to commit crime. Popeye falls under the influence of the laced berries and becomes surly and mean, striking out at his friends and allies. Yet he still manages to get five gallons of "myrtholene," a joy-inducing drug which he pours over the plant's roots. The new berries produce delirious happiness, and as Popeye says it, "when a man's happy he jus' couldn't do nothin' wrong." In many of the animated Popeye cartoons from the 1960's, Popeye is explicitly shown sucking the power-giving spinach through his pipe. Further, in the comics and cartoons made during the 1960's, Popeye had a dog named Birdseed. Surely the writers who named Popeye's dog during this "flower power" era were aware that cannabis was in fact America's number one source of birdseed until it was banned? Another slightly different drug reference occurs in the 1954 cartoon, 'Greek Mirthology'. In the cartoon, Popeye tells his nephews the story of his ancestor, Hercules. Hercules, who looks just like Popeye, is shown sniffing white garlic to gain his super strength. By the end of the cartoon Hercules has discovered spinach and switches over to it. Is this a metaphor for the benefits of cannabis over cocaine or snuff? Some have commented on the parallel between Popeye's famous phrase, "I yam what I yam," and the statement, "I am that I am," made by God to Moses in the Old Testament. In the story, God speaks to Moses through a magical burning bush, which was not consumed by the fire. Interestingly, many different people and faiths have believed that the biblical burning bush is a reference to the Cannabis plant, including Rastafarians and various early Christian sects. 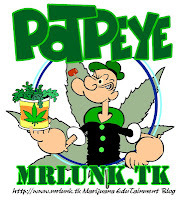 So in this context, the use of phrase, "I yam what I yam," can be seen as a reference to Popeye's use of the burning cannabis bush, which creates his higher awareness of the self-reflective nature of the Godhead. The only Popeye strip to ever explicitly refer to the pot/spinach connection was published in the 1980's by illustrator Bobby London. The comic showed Popeye and Wimpy picking up a load of "pure Bolivian spinach."